In addition to the field trips, five interesting optional tours and events were being offered at the ICA 2018. The optional tours included, a tour to Potsdam with its marvelous parks and castles, a tour to relive the prussian times at the Schönhausen palace. 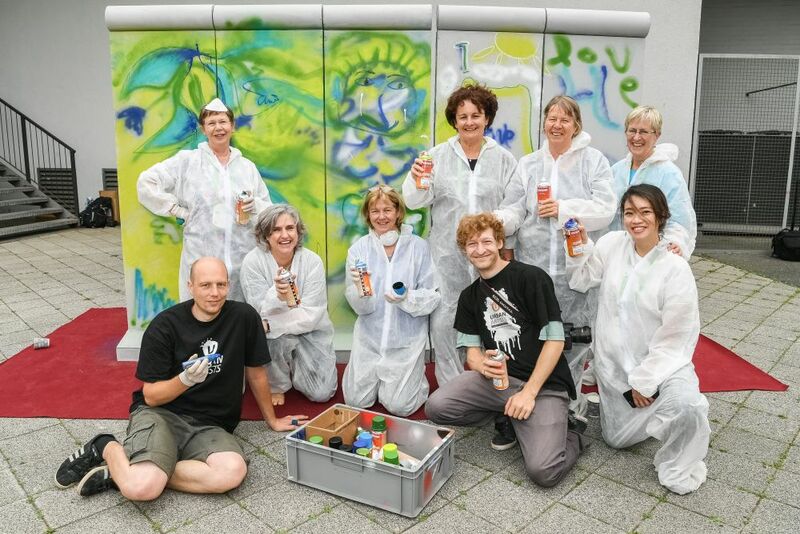 A Graffiti workshop enabled you to paint on a wall piece, whilst being inspired by original pieces of the Berlin wall. If you wish to take a day off from bustling city life in Berlin, this tour will make you feel like a king or queen! Spend the whole day in Potsdam with its palaces, gardens and lakes and enjoy the charming old town. Experience an inside tour of New Palace, see the Cecilienhof and Babelsberg castles and enjoy this day full of exciting discoveries and dazzling beauty. Berlin’s rich history has many facets. This bus tour will lead us to the beautiful Schönhausen Palace, its Prussian roots and later its use in former East Germany. Join us for a tour of Schönhausen Palace, a baroque jewel which has been reopened to the public after extensive restoration work in 2009. This workshop looks in particular at artists and those who would like to become one. After a short introduction to the specific techniques used in graffiti art, the participants can jointly spray their graffiti with the help and instructions of a professional tagger.